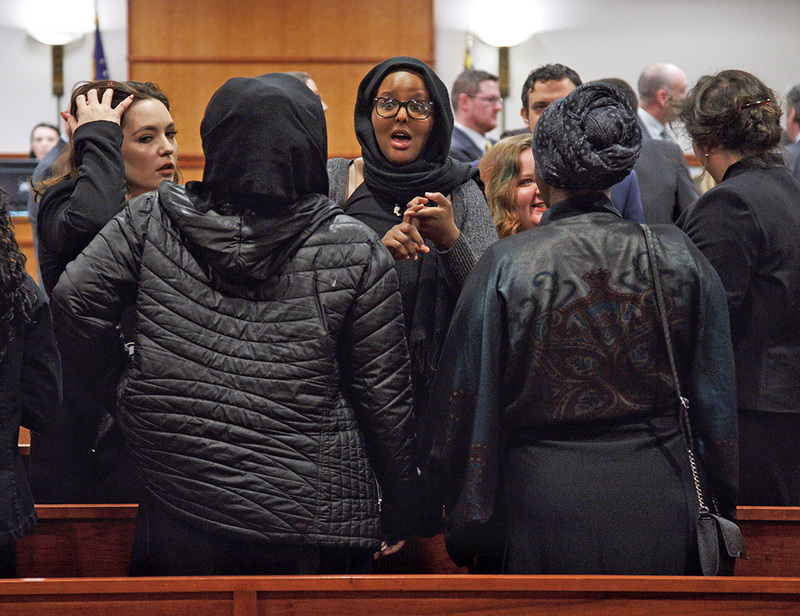 The stunning move by Justice Paul Fritzsche comes after a testy exchange with a defense attorney during a hearing for 17 protesters who were arrested in Portland last summer. 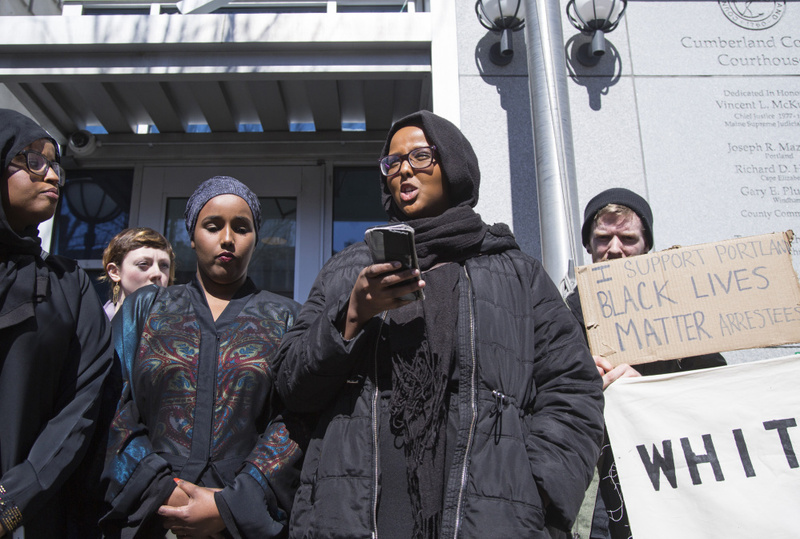 A court hearing for 17 Black Lives Matter protesters arrested last summer was cut short Monday when the presiding judge unexpectedly recused himself at the request of a defense attorney. 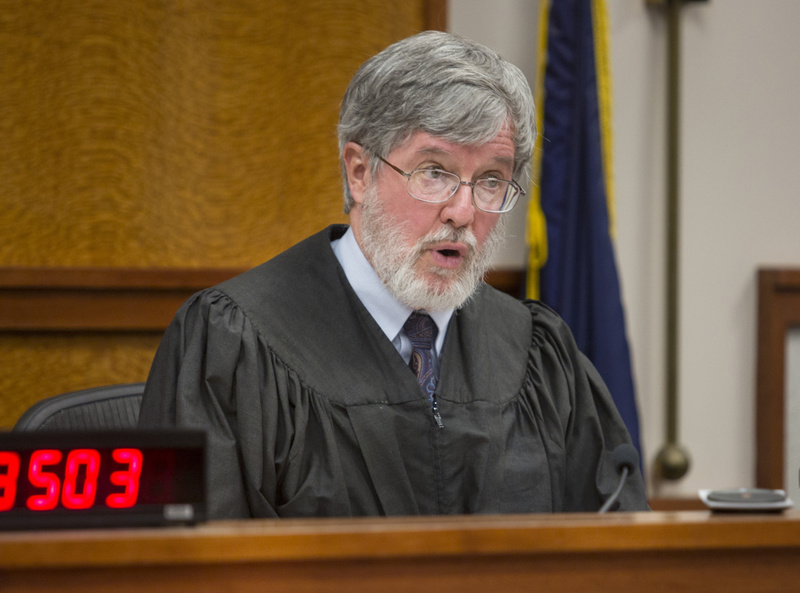 Justice Paul Fritzsche offered no explanation for his abrupt departure from the court hearing, which was disrupted by vocal supporters of the defendants, prompting a warning from bailiffs that some supporters may be ejected from the courtroom. 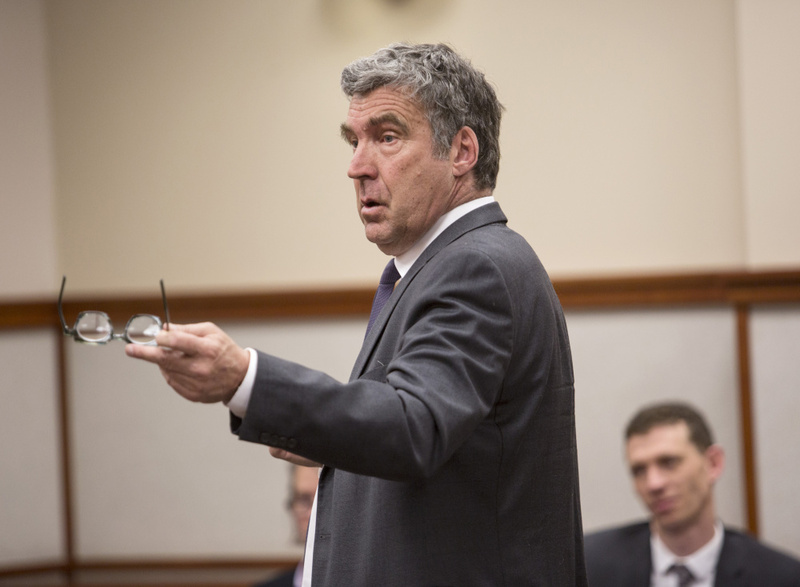 The surprising development came during defense attorney Thomas Hallett’s aggressive cross-examination of Deputy District Attorney Jennifer Ackerman. Hallett’s line of questioning suggested that Ackerman committed an ethical violation for insisting on meeting with the protesters during a restorative justice proceeding without formally notifying all of the defense attorneys. Fritzsche sustained an objection from Assistant District Attorney Amanda Doherty about the relevance of Hallett’s questions during Monday’s hearing, which was supposed to determine whether the 17 protesters who were arrested July 15 for blocking a portion of Commercial Street fulfilled their contractual obligations set out in the restorative justice agreement. Hallett then asked the judge to recuse himself from the proceedings. Fritzsche, an active retired judge, granted the request immediately. “We’re done,” he said, leaving the attorneys stunned and the Black Lives Matters protesters and nearly two dozen supporters ecstatic. The court is expected to reschedule the hearing before a different judge. Mary Ann Lynch, a spokeswoman for the Maine Judicial Branch, told the Portland Press Herald that Fritzsche would not comment on his recusal. Fritzsche served as a York County Superior Court justice for almost 30 years, retiring from that position in 2015. He was a public advocate from 1983 to 1986, representing consumers before the state Public Utilities Commission, in court and before the Legislature. He also served from 1975 to 1981 as staff attorney and directing attorney for Pine Tree Legal Assistance in Lewiston and Portland. He graduated from Worcester Polytechnic Institute and earned a law degree at the University of Maine School of Law. During the hearing, Fritzsche had expressed the view that the protesters waived their right to an attorney by agreeing to the restorative justice proceeding, knowing their attorneys would not be present and that state prosecutors would be there with Portland Police Chief Michael Sauschuck. Restorative justice is a movement to offer an alternative to retributive justice and its emphasis on punishment and separating offenders from society. Key tenets of restorative justice include giving voice to victims, having offenders accept accountability and giving communities affected by crimes ways to heal. Hallett said he was upset that the judge was using information gleaned beyond the court hearing to justify his position, rather than relying on the record being built by attorneys. He also argued that the defendants could not waive Ackerman’s ethical obligations to receive permission from defense attorneys to speak to their clients without them present. Before the hearing got underway Monday, Fritzsche asked both sides to come up with an agreement that would allow the restorative justice process to resume. He implored both sides to discuss their concerns with each other in an effort to reach a common understanding and move forward in a more productive way, saying he feared a court hearing would only exacerbate tensions between the group and the police. A restorative justice meeting that had been planned in February between Portland police and the protesters was called off at the last minute after the two sides could not agree on how the meeting should proceed – in two groups held separately, or as one – and who should be allowed to observe the process. The District Attorney’s Office tried to enforce part of the agreement to divide the protesters into two sessions; the protesters wanted to remain together. The protesters also objected to the presence of an observer from the American Civil Liberties Union of Maine, and to the presence of Rachel Talbot Ross, a state legislator and head of the local chapter of the NAACP. The protesters asked her to leave, Deputy District Attorney Jennifer Ackerman said. After that session failed, the state refiled the charges, leading to Monday’s hearing. On Monday, the protesters insisted on moving forward with the court hearing. Hallett, who had previously cautioned Fritzsche against prejudging the case, said the hearing was important to the protesters because they feel the justice system does not listen to people of color. A bailiff had to restore order to the courtroom when Hallett asked why state prosecutors invited the NAACP to the restorative justice hearing. “Did you make the decision that it was appropriate to invite someone from one black organization to sit in on a restorative justice meeting simply because they were the same skin color as some of the people who were going to be at the restorative justice meeting?” Hallett asked, prompting an objection from the state. The judge allowed Ackerman to respond. She said that she didn’t know whether the local groups were mutually supportive, but assumed they were, based on their relationship elsewhere in the country. Shortly after, Hallett began questioning Ackerman about whether she violated ethics rules by insisting on accompanying Police Chief Sauschuck at the restorative justice meeting without informing all 16 defense attorneys. Fritzsche called a short recess after clashing with Hallett about whether that had violated the defendants’ constitutional rights to due process and the right to an attorney. The judge had opined that those rights had not been violated because the discussion was not about whether protesters blocked Commercial Street, but was about improving relationships. After the short recess, bailiffs warned the defense attorneys that anyone who interrupted the proceedings again would be ejected. Once in session, Fritzsche further explained his position. That prompted Hallet’s motion for recusal. “Granted. We’re done,” Fritzsche said before walking briskly out of the courtroom.